The Studio on Mars: Studio on Mars Halloween Party and Fundraiser!!! 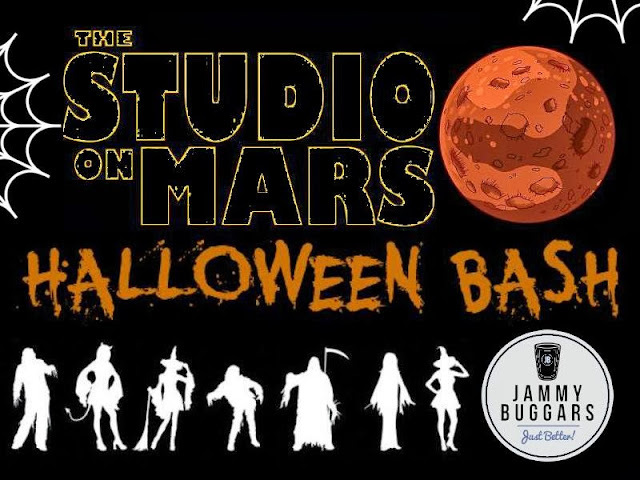 Studio on Mars Halloween Party and Fundraiser!!! Come party with The Studio on Mars gang and help us raise money for our upcoming projects! - A professional photo in front of the famous Studio on Mars sign! - 50/50 Raffle & other chances to play and win prizes! Come dressed in costume for an automatic entry into our costume contest! Winners will be chosen from singles & couples categories and prizes include $25 gift cards!! Don't miss out! It's going to be a blast and also a chance to network and meet the members of the up and coming local production company The Studio on Mars!